Bad News for Crude Oil Prices: Persian Gulf Refineries - Ellen R. Wald, Ph.D. The low oil prices engineered by OPEC in the last year are feeding several new Saudi refineries. The oil producing nations of the Persian Gulf have decided to produce petro-products, not just crude oil, and this means serious profits for Saudi Aramco and its partners. It also indicates continued low crude oil prices, a negative sign for the U.S. shale industry – like EOG Resources (NYSE:EOG), Halcon Resources (NYSE:HL), and Oasis Petroleum (NYSE:OAS) – and other U.S. crude producers like ExxonMobil (NYSE:XOM), Chevron (NYSE: CVX), Hess (NYSE:HES) and Continental Resources (NYSE:CLR). Traditionally, crude oil was not refined in the Middle East, but shipped off in tankers or transported by pipeline to refineries in North America and Western Europe. Only a fraction of local crude oil was refined at the Aramco refinery in Ras Tanura and the British Petroleum refinery at Abadan in Iran, but refinery expansion failed to keep pace with growing crude oil exports. The American and European oil companies that originally ran Persian Gulf oil operations did not invest heavily in refining in the Gulf region. Construction costs were extreme, particularly in undeveloped desert regions like Saudi Arabia, skilled workers hard to come by, and political turmoil was constant. 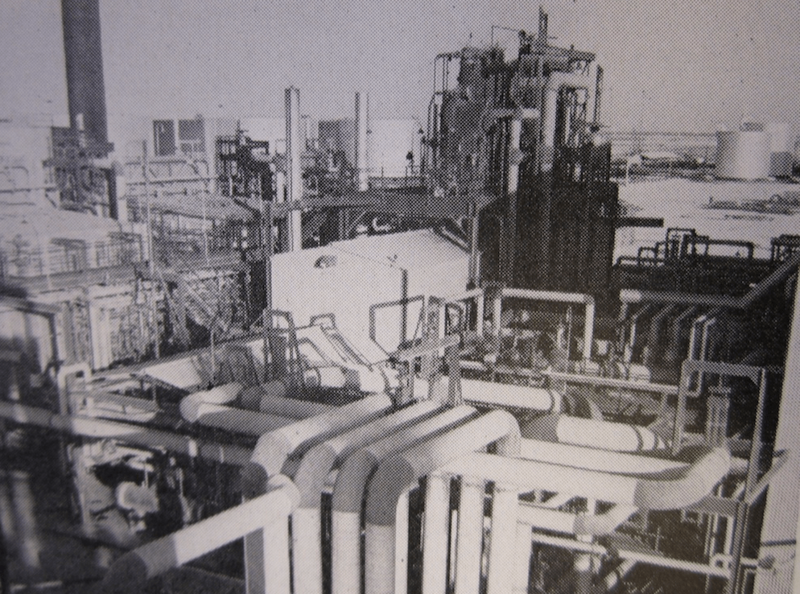 Moreover, the United States had a slew of new refineries left over from World War II, and the Marshall Plan had funded new oil refineries throughout Western Europe so there was no need for additional refining capacity at the time. Now the tables have been turned and Saudi Arabia, Iran, Kuwait, Bahrain, and the UAE own the oil operations started by Americans and Europeans in their countries. Downstream growth has been a priority for Saudi Aramco since 1988, when it first acquired shares in the Motiva Refinery in Texas. Saudi Aramco has held stakes in refineries in South Korea, China, Greece, the Philippines, and India. With ample space in Saudi Arabia and experienced personnel, opening domestic refineries was just the next step in Saudi Aramco’s vision of energy diversification and expansion. The Jubail refinery (a joint operation with Total (NYSE:TOT)) opened in 2013 and the Yanbu refinery (a joint operation with Sinopec) opened in 2014. Each currently processes 400,000 bpd. A third 400,000 bpd refinery in Jazan is currently under construction. Both Kuwait and the UAE are constructing refineries that will begin processing nearly 1 million barrels of oil a day by 2020. Like all major projects, these refineries have experienced setbacks and major delays – but these delays are insignificant in comparison to what is happening in the United States, where no one has built a new refinery since the 1970s. The impressive growth in Persian Gulf refining means that whether oil prices are high or low, Saudi Aramco, Kuwait Petroleum Co., and Abu Dhabi National Oil Company will be making money. At low crude prices—meaning high production rates—these countries can both flood the global crude oil market and refine domestically – capturing market share on both fronts. Moreover, the Gulf countries can sell the refined oil—petroleum products—at a relatively higher price than the crude, because (1) the refining industry has not caught up to the crude industry growth and similarly increased its capacity, and (2) America’s own political decisions have led to a glut of crude and a related need for new refining. Our crude oil export ban, coupled with our stagnant refining capacity have contributed to the glut of crude and the concurrent short supply of refining capacity. This means it is that much more profitable for the Gulf countries to export refined petro-products than to simply export crude. Low oil prices came at exactly the right time for Saudi Arabia’s impressive new refining capacity. That should be no surprise, given Saudi Arabia’s influence on OPEC, and OPEC’s decision to keep pumping last fall. The question investors need to consider is whether OPEC will continue the cheap crude policy in part to continue supplying that crude to refineries owned by OPEC nations.